The grip in golf is how we place our hands to hold the club to hit the ball. 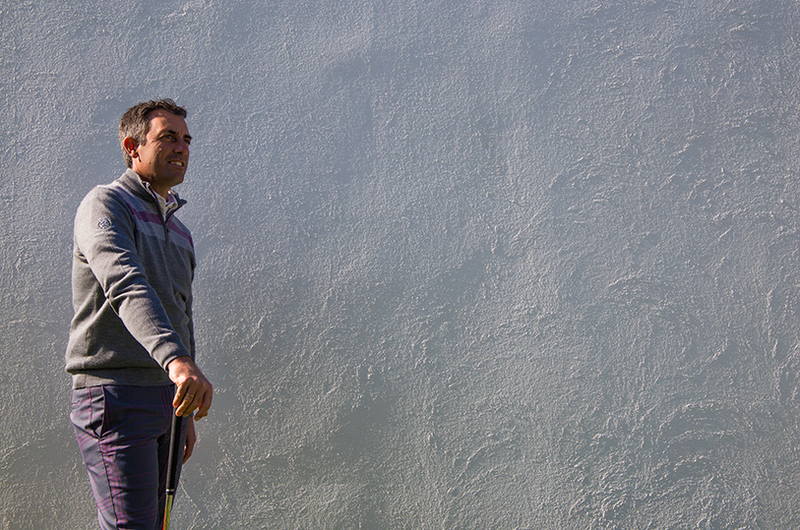 It allows us to control the orientation of the face of the club at the moment of impact (open, closed or square with the ball) It is one of the fundamental bases to play golf well; In addition, thanks to an adequate grip we will have more mobility in the wrists and as a consequence, we will achieve more fluidity and more power with the movement of the club at the time of executing the golf shot. How to achieve a good grip? 1. Before placing the hands on the club, we have to relax our arms and let them drop down, keeping the hands in a natural position. 2. We will take the club in the hands without changing the position of them. 3. The hands should be relaxed. The pressure that we exert on the club is very important to be able to move the club easily, with precision and power; and above all, to achieve good shots. The correct way to position ourselves in front of the ball is with your arms and hands relaxed. In this way we achieve the club being enclosed in the fingers, and as a consequence, we improve the ease and mobility during the swing. If we position ourselves in front of the ball with unrelaxed arms and we hold the club too strongly, the result will be very little mobility in the movement. In this video you can see more clearly the correct position of the hands, the typical mistakes in the grip and the correct placement of the hands on the club. See you at Golf Ibiza!